A 21st century interpretation of a 20th century instrument - pure-toned, high-pitched, and precisely tuned resonating metal rods. Lightweight handles, featuring Quad and Dual mounts, offers portability and convenience when working with a selection of Canna Sonora rods for a specific performance. 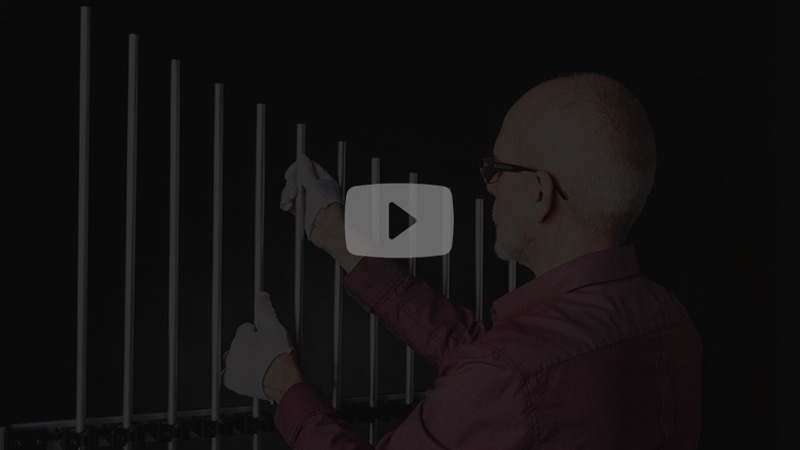 The resonance potential of metal rods has been recognized for decades. A player, pulling along the length of a rod with rosin coated fingers (or gloves) excites the resonance of the rod, sounding a tone. 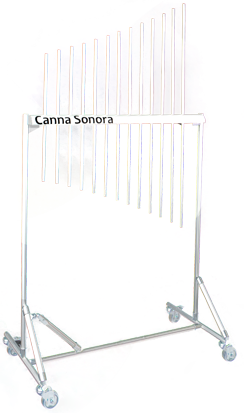 Canna Sonora refines this scientific phenomenon in a modern interpretation as a finely crafted musical instrument, manufactured to the highest standards. Imagine; the Canna Sonora sound emanates brilliantly out of velvet silence, in a perfect arc, waxing to an effortlessly steady tone that sings brightly then wanes, and gracefully diminishes into silence... Or strikes a stunning suspended seventh chord in a high, crystalline register, bold in its presence, followed by a stately triad - a setting for the Siren's song... Or builds the tension of shrill, beating half-steps, a sublime dissonance like a ringing torment of the Furies... Or traces a gentle high pitch to emphasize the tonic note of a final fading motif. 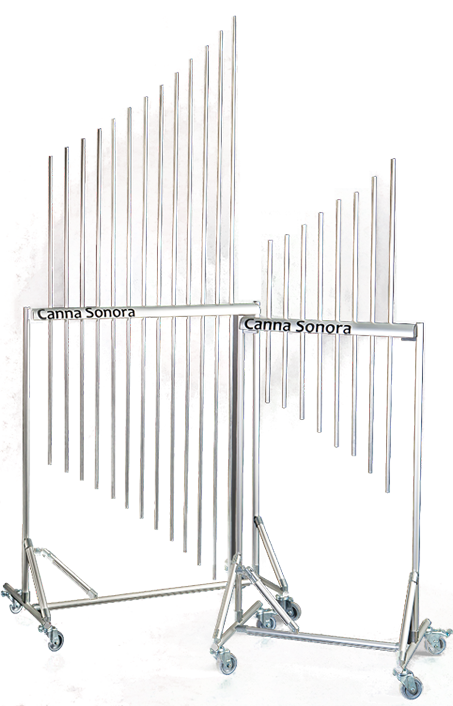 These marvelous effects are all possible on the concert stage with Canna Sonora, a new interpretation of resonant metal rods produced by Alliard, LLC. The Lo-Pentatonic scale is equivalent to the black keys on a piano starting at C#. The lowest note here is one key higher than C6, the "High C" on the piano keyboard (with C4 as "Middle C"). The Hi-Pentatonic scale is equivalent to the black keys on a piano starting at C#. The lowest note here is one key higher than C7 the "Double-High C" on the piano keyboard (with C4 as "Middle C"). The Lo-Diatonic scale is equivalent to the white keys on a piano starting at C. The lowest note here is equal in pitch to C6, the "High C" on the piano keyboard (with C4 as "Middle C"). The Hi-Diatonic scale is equivalent to the white keys on a piano starting at C. The lowest note here is equal in pitch to C7, the "Double-High C" on the piano keyboard (with C4 as "Middle C"). The Lo-Chromatic scale is equivalent to all the keys (black & white) on a piano starting at C. The lowest note here is equal in pitch to C6, the "High C" on the piano keyboard (with C4 as "Middle C"). The Hi-Chromatic scale is equivalent to all the keys (black & white) on a piano starting at C. The lowest note here is equal in pitch to C7, the "Double-High C" on the piano keyboard (with C4 as "Middle C"). The Grande provides two chromatic octaves, equivalent to all the keys (black & white) on a piano starting at C. The lowest note here is equal in pitch to C6, the "High C" on the piano keyboard (with C4 as "Middle C"). In addition to musical integrity, Canna Sonora offers quality design. The structure is light, portable, and strong. It can be unpacked and assembled or dismantled and packed away in just minutes with a simple hex key (Allen wrench). Swivel casters allow for easy mobility on and off stage and can be locked firmly in place for stability during performances. A proprietary coating applied to the rods promotes quick response to the performer's touch and can be easily cleaned to insure consistent response. If needed, this film can be removed and restored on-site by a simple procedure. This proprietary coating is available for purchase from your instrument dealer. My grandfather, an inventor, created the machine that produced the Baby Ruth candy bar. My dad, also an inventor, created machines that put sugar packets in virtually every restaurant in America. 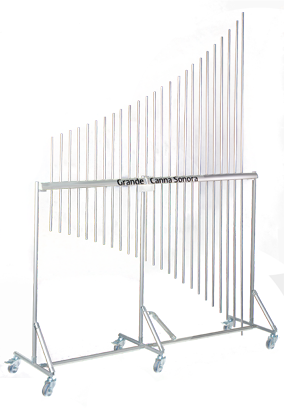 Following in their footsteps, I can claim a U.S patent to my name and, although I didn't invent the resonating metal rods that I call Canna Sonora, I have invented some refinements to the design of the instrument. 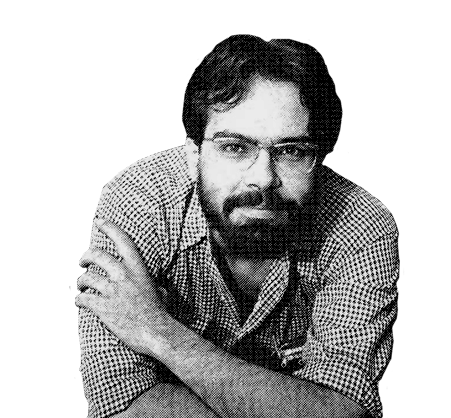 I was co-founder of La Boue, an experimental music group in 1970's Chicago. We valued new and unusual sounds and created them from electronic and acoustic sources. The instruments we built included a set of resonant metal rods, played using thin cotton gloves with powdered rosin. Three players at the instrument could produce dense chords of five and six notes. The La Boue instrument was tuned to the standard chromatic scale. 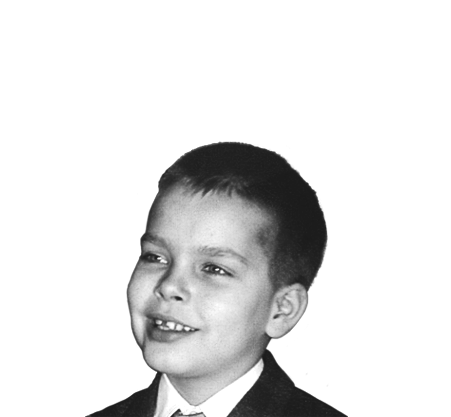 During the 1960's space-race, I wished I could walk on the moon. My first invention, at age eleven, was to modify our backyard rope swing with a harness that let me hang parallel to the ground, facing sideways. Leaning mom's bathroom scale up against a "wall" of overturned wooden lawn furniture, I was able, with careful placement of the wall, to simulate my moon weight. I could walk and jump around as if on the moon's surface, albeit sideways. Other inventions followed, but none were as much fun as moon walking. 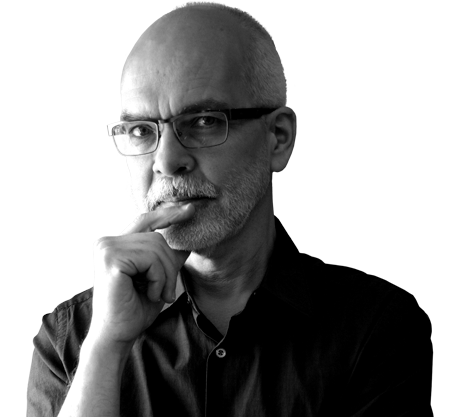 David Cloud established Alliard, LLC as a studio and workshop for the design and production of new products based on his interests in music, science, and designed objects. For more information and opportunities to see and hear Canna Sonora in person, please contact Alliard, LLC.